Come and enjoy more art again at the fair in Parma, on the 3rd/4th and the 9th/10th/11th of March 2018, at the exhibition centre in Baganzola. In conjunction with the Spring edition of Mercanteinfiera, ArtParma Fair is back. 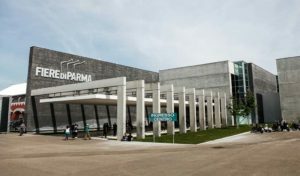 More than a ‘show-market’ of Galleries, ArtParma Fair is also a major cultural event that presents new ways of making art, innovative solutions, and unusual installations. It never loses sight, however, or forgets the importance of art as understood in the traditional sense. ArtParma Fair presents a great opportunity: for gallery owners and the public to meet and discuss art; for collectors, on the look-out for their next investment; and for industry experts looking for new talent. And I will also be present at this edition of ArtParma Fair with a great selection of my works, including some works created especially for the occasion.